Discovering ways to re-purpose discards, making items from scratch and being self-sufficient. Got time and magazines on your hands? Check this out. 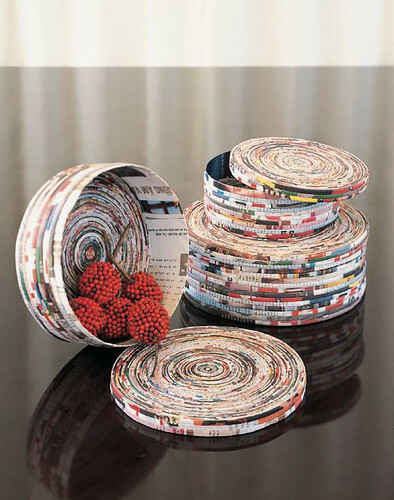 You won’t believe what you can do with old junk mail, magazines and catalogs. I made this tutorial several years ago. Since then, I’ve seen my tutorial all over the internet, including Apartment Therapy.I’ve decided to share it again here. I hoard magazines. I cannot bear to throw them away even if I know I will never take the time to look at them again. Here’s a way to use those magazines I feel too guilty to throw away and create a colorful recycled magazine box for your home. Categories: PAPER CREATIONS | Tags: catalogs, craft, crafty, junk mail, magazines, Paper Crafts, recycle, repurpose, reuse | Permalink. Thank you for your interest! I look forward to your ideas, family traditions and comments. Original Pud-Hog. Lover of All Things Sweet and Delicious. Because we are Cooks, not Chefs! travels and finds (or cooks) great food!